Dallinghoo is a traditional gaff rigged topsail schooner that was originally built in South Africa in the 1990s. After a number of years spent sailing in the Atlantic and the Mediterranean, Dallinghoo made her way to South East Asia. Arriving in Myanmar, Dallinghoo changed hands and underwent a thorough 18-month renovation in 2015. 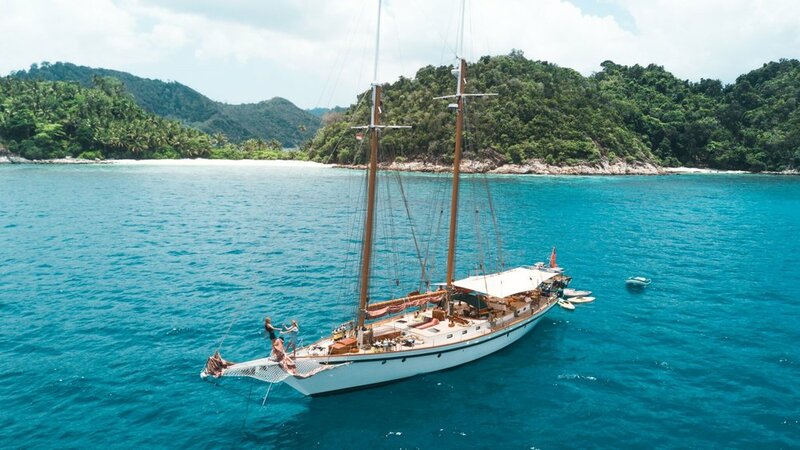 She now offers intrepid travellers a unique and adventurous experience - in contrast to the traditional Indonesian phinisi - and sails throughout Indonesia, Malaysia, Myanmar, Thailand, Borneo and the Philippines. Dallinghoo’s professional, knowledgeable crew includes a western cruise director and a chef. A dive master and a masseuse are available on request. Dallinghoo accommodates up to 8 guests in 4 air-conditioned ensuite cabins. Accommodation consists of one double master stateroom, situated on the aft. A second double stateroom is located midship, while a third double cabin is situated portside, next to the twin cabin, which features single bunk beds. The double captain’s cabin can also be used as an alternative to the twin cabin, and the master and VIP staterooms each feature a TV. All guest spaces have been recently refurbished in light cream textiles and varnished teak paneling to compliment the hardwood floors. Inside, there is a fully equipped galley and a saloon with a casual seating and dining area centred around a large teak table. When the table is not in use, it can be folded to convert the dining space into a lounge, which features a TV and a digital library with over 2,000 movies. Out on deck, there’s plenty of space to sunbathe or relax in the shade under a full awning, not to mention an expansive exterior dining area seating 8 guests, featuring a barbecue. Dallinghoo’s private chef is highly experienced and specialises in delectable west east fusion cuisine. 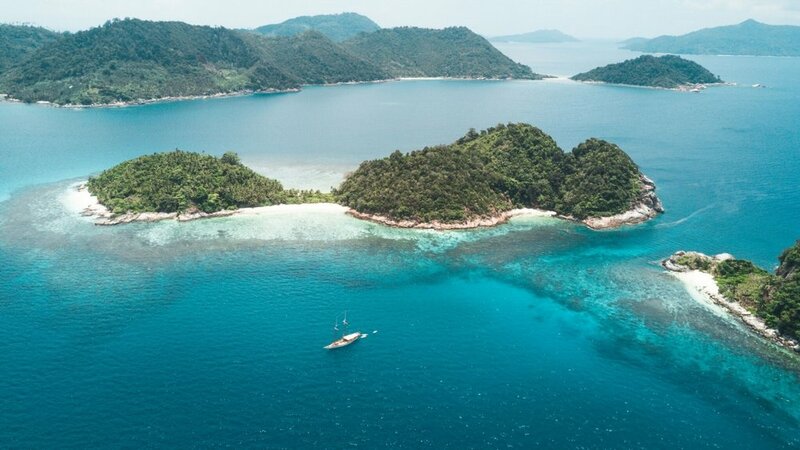 Onboard facilities include air-conditioning, snorkelling and diving equipment, 4 kayaks, 2 paddleboards, a sailing dingy and a rib for exploring ashore. Dallinghoo was built in 1990 but refurbished in 2015 and spans 30m. 4 cabins accommodate up to 8 guests. She cruises at a maximum speed of 10 knots.